If you are having a golf themed birthday party, then you’ve come to the right place! 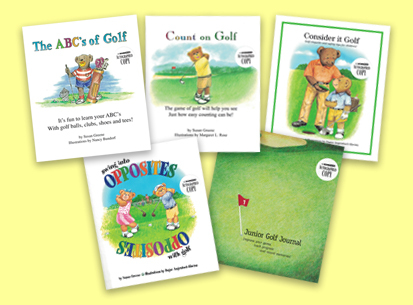 Autographed books by author, Susan Greene, make the perfect par-tee favor. And Susan will be happy to personalize each book with the recipient’s name, if desired, to make the par-tee favor extra special. A quantity discount will apply for orders of 12 or more. Contact Excel Publishing at 248 593 9070 to discuss the details surrounding your par-tee favor. If you would like Susan to make a personal appearance at your party and read one or more of her books, please contact Excel Publishing at 248 593 9070 to discuss pricing and availability.